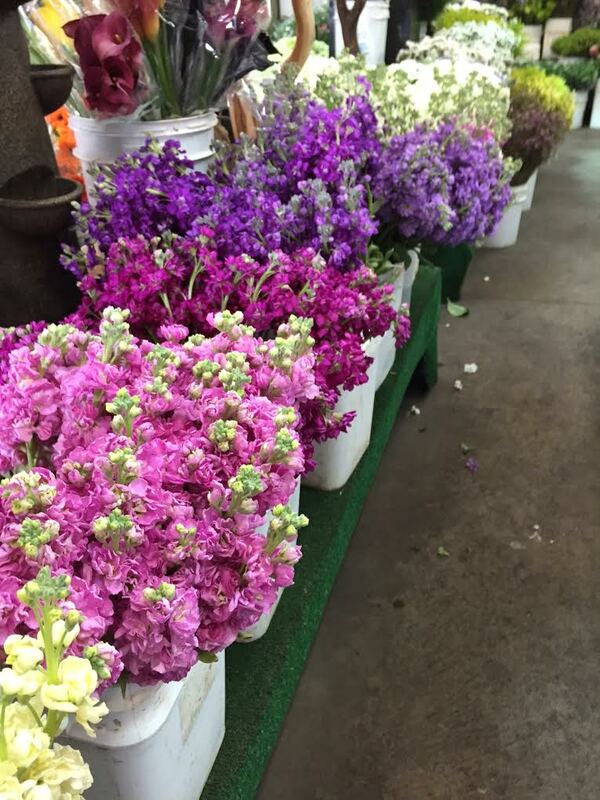 from a recent trip to the beach and the SF Flower Market. listening to the sounds of the waves and sinking toes into the sand. for a little shopping as well. can get lost for hours. but displayed differently and/or priced differently. And one thing there is definitely not a lack of? so I snapped a few photos instead. 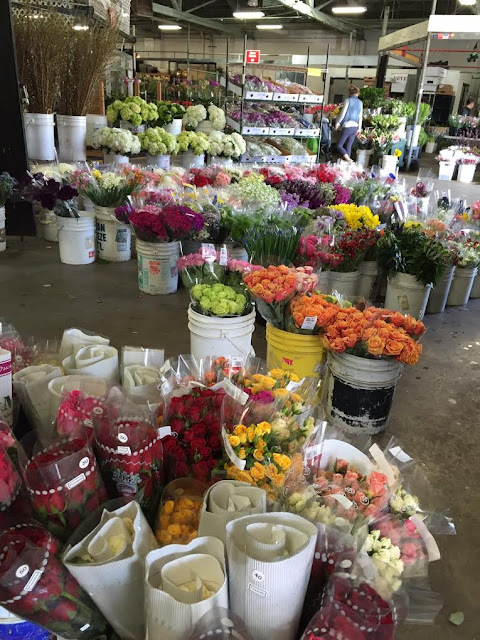 just a peek at what the flower market looks like. 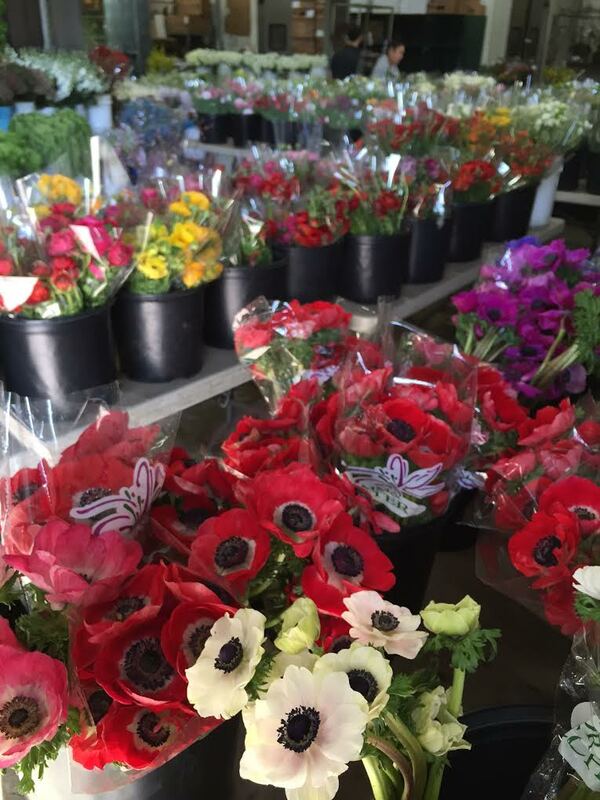 or a special variety- there are a TON of choices at the market. And I have 2 tips for you. I was unprepared and ended up not buying from them. if you pull a Courtney- just stop at the ATM on the way in either way. 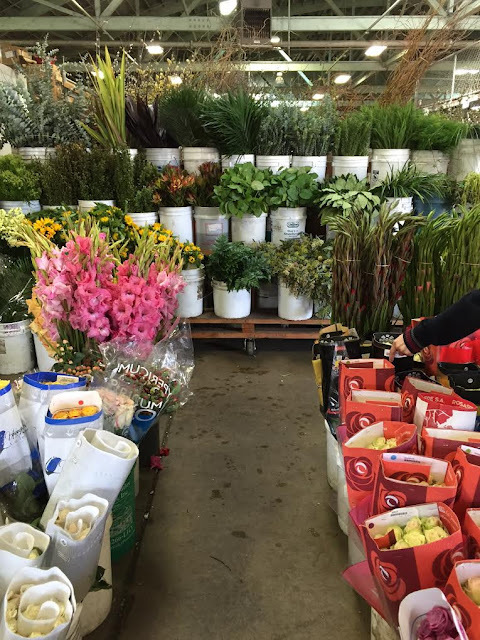 you might go nuts and that extra will go a long way with flower market prices. I was actually pretty good this time. it was most definitely worth it. 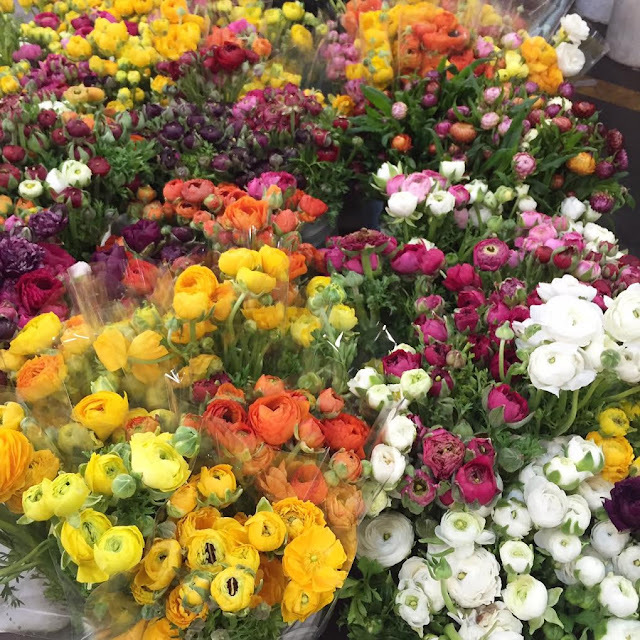 Though the colorful every day variety wasn't too shabby either. More on that special project coming very soon. I've always wanted to go to the flower market in SF. One of these days I'll go! 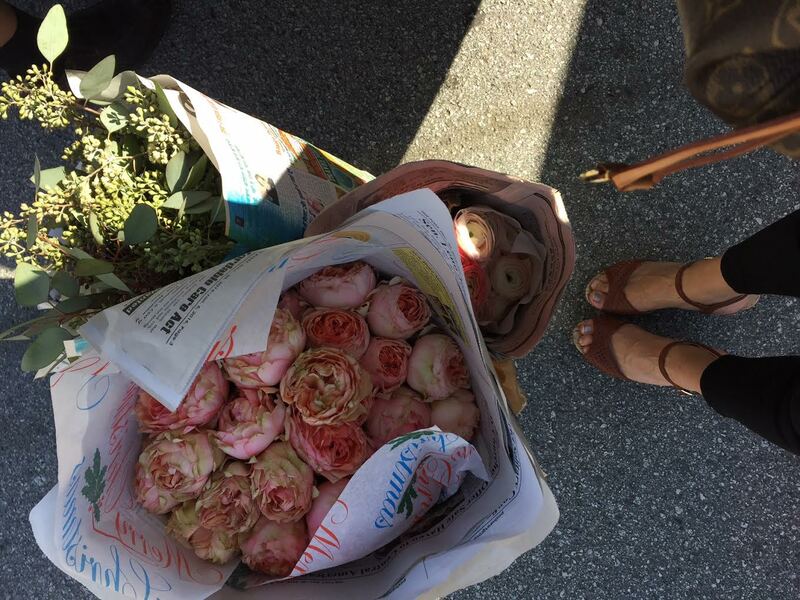 Pretty flowers you picked up! oh yes, the special ranunculus was worth every penny, super luscious! Beautiful, beautiful, beautiful. Thanks for sharing! 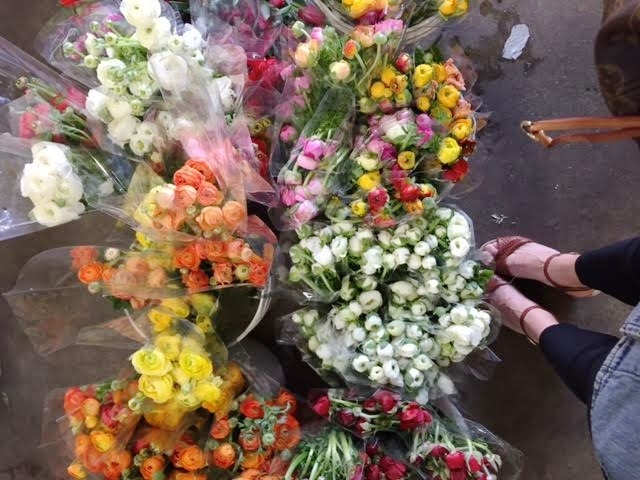 Those are some seriously gorgeous flowers and photos, Courtney! Ya know, well you don't, but I lived in Palo Alto in the mid 70's when I was a teen-aged ballerina. I used to love to go to SF and we went to 1/2 moon bay once. 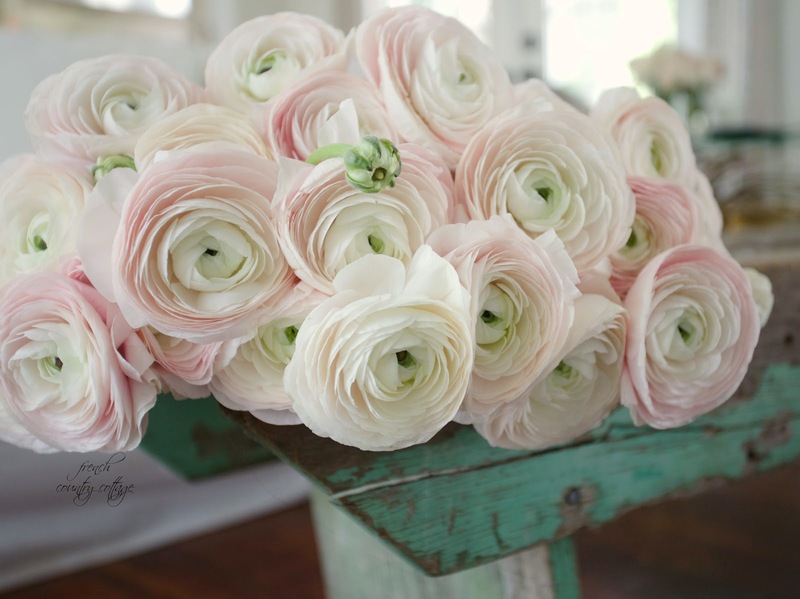 Our wedding anniversary is/was 20&21 March, I'm in France, Hero Husband on his way to LA.... and I ADORE ranunculus.... I can buy them from my local market for EUR5.- for a pretty bunch and I buy tons of them, especially the really filled and frilly ones. They are adorable and make such wonderful bouquets. 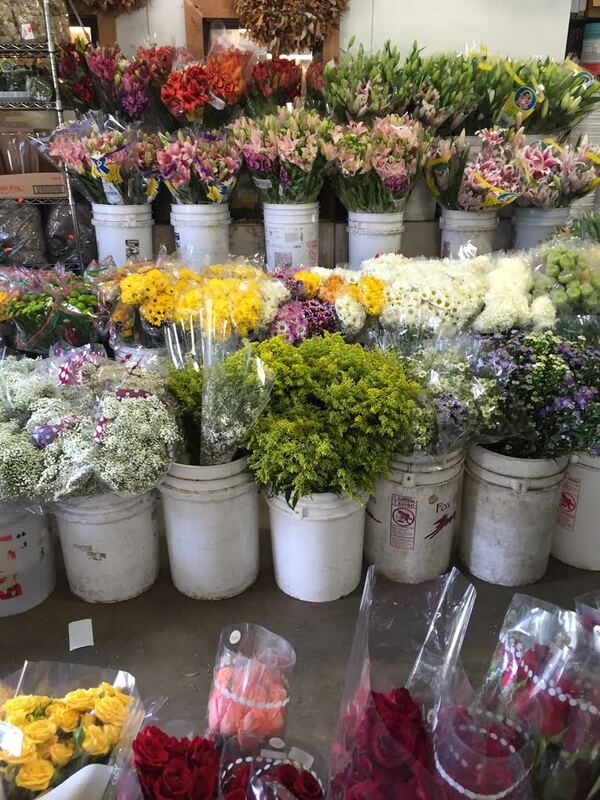 Ah, the beauty of flowers - I would go wild on a market like this!!! I love all these beautiful flowers in these picture and love French Country Cottage and keep these gorgeous picture and your wonderful ideals a coming!